Pro MMA fighter Joe Torrez fought off four men -- two of them allegedly armed -- who entered his house early on New Year's Day. A pro MMA fighter thwarted a home invasion by fighting off four men — and now he might be charged with a crime for it. The four intruders allegedly forced themselves into the Las Cruces, N.M., home of Joe Torrez in the early morning hours of New Year’s Day, authorities told the Las Cruces Sun-News. Two of the men had weapons and Torrez fought back successfully, killing one of the men, severely injuring another and forcing the other two to run away, Torrez’s lawyer C.J. McElhinney told FOX Sports. Torrez, 27, was in the home with his 2-year-old son, his fiancée, his fiancée’s sister and another female, according to McElhinney. On paper, the situation seems like self-defense. But McElhinney has heard "rumblings" that charges could be filed against Torrez. He was outnumbered. These guys were armed, they were dangerous. His MMA training, his mental toughness contributed. I think that definitely was an edge. "We’re taking the position that things have taken a turn for the worst," McElhinney said. The two men who fled the scene were arrested and face multiple felony charges, according to the Sun-News. The man injured, Nathan Avalos, was taken the hospital with "severe" facial injuries, the paper reported. Sal Garces, the deceased, was found stabbed and beaten near Torrez’s home. The reason for the home invasion is unknown. 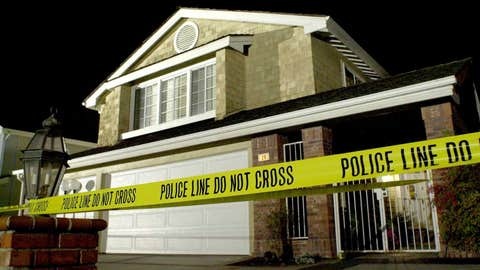 One of the intruders arrested told authorities that a previous altercation led to the incident, the Sun-News reported. According to McElhinney, Torrez’s fiancée’s sister said she was "jumped" before coming to the home. Torrez also received a phone call threat, the lawyer said. Post by Support Joe Torrez. "I’ll kill you and your family … I’ll go to your house," Torrez was reportedly told. One of the invaders was brandishing a sharp, wooden shank and another grabbed a knife from the kitchen, McElhinney said. Torrez suffered minor injuries. None of the others in the house besides the intruders were hurt. "When he decided to fight he gave it his all," McElhinney said. "He was outnumbered. These guys were armed, they were dangerous. His MMA training, his mental toughness contributed. I think that definitely was an edge." McElhinney claims that the four men were affiliated with the East Side Locos gang and a few have prior convictions for violence crimes. One, the lawyer said, is wearing an ankle bracelet because he’s on probation. The Dona Ana County Sheriff’s spokeswoman confirmed with the Sun-News that the four were gang members. Torrez, a lightweight (155 pounds) fighter, has a 1-5 pro MMA record, according to Sherdog. McElhinney said he has more fights than just six and he’s been training in MMA for 10 years. He was actually scheduled for another fight in the coming weeks, but pulled out. Torrez and his family have left Las Cruces, his lawyer said. These guys are gonna be looking for pay back. "These guys are gonna be looking for pay back," McElhinney said. Torrez’s first pro fight came against current UFC featherweight Dustin Poirier. He has previously fought at a Jackson’s MMA event in Albuquerque. The well-known MMA gym’s Twitter account linked to the "Support Joe Torrez" page set up by McElhinney on Sunday. McElhinney said he left a message with the Las Cruces district attorney Friday and never heard back. He expects to learn more about the potential charges this week.